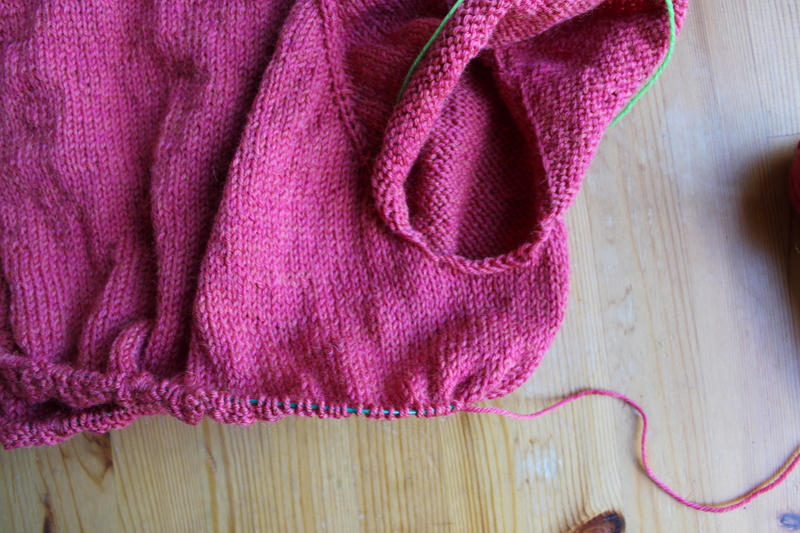 I’ve made it through the tricky part (as far as this sweater has a tricky part; it’s exceptionally simple). The shoulders look great, and I made it to the arm/body split, otherwise known as the armpit. From now on, it’s basically straight stockinette down to the extra-long hem (unless I get really antsy and try doing something fancy). I want this sweater to be as long as I can possibly make it, so I’m going to do a couple inches (probably to the end of this skein) on the body, then switch over and finish off the sleeves. That way, I can work to the very last inch of the very last skein to make the rest of the body. 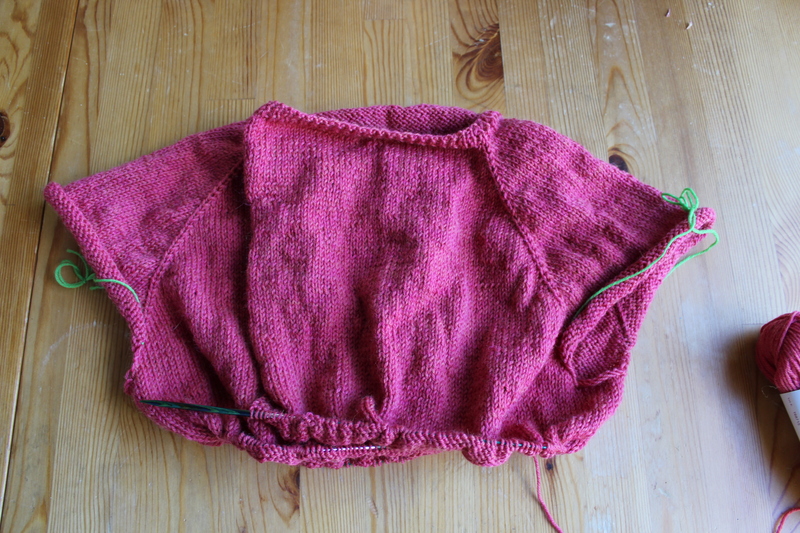 (We all know how well my last game of yarn chicken went… let’s hope this one works out a little better.) I really like how this sweater is turning out- I keep thinking of outfits it would be perfect with. But, I have a while to go before I get to take this bad boy off my needles. I just need to buckle down and turn into a real knitting machine. Have you been working on any marathon projects lately? This entry was posted in On My Needles and tagged armpit, cardigan, knitting, loana, loana cardigan, papaya sweater, progress, sweater on October 6, 2017 by onemilljellybeans.